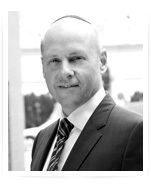 Mr. Brecher is the Founder and Chief Executive Officer of First Market Properties. In 2002, prior to founding FMP, Mr. Brecher founded First Meridian Mortgage LLC (FMM), which is a full service mortgage banking firm. As the CEO of First Meridian Mortgage, Mr. Brecher is in charge of the decision making for credit, underwriting, operations, and secondary marketing policies and procedures. Since its founding, FMM has originated in excess of $5 billion in debt. From 1991 through 2002, Mr. Brecher was an Executive Vice President at Meridian Capital Funding Inc., a residential mortgage banker. He is a licensed mortgage banker in multiple states, including New York, New Jersey, Connecticut, Maryland, Washington D.C. and Florida. 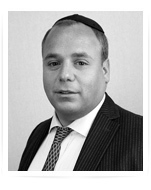 Mr. Kurlansky is FMP’s Director of Acquisitions and has held this position since its inception in 2007. 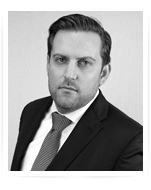 He is responsible for the sourcing, underwriting and disposition of assets. Currently, Mr. Kurlansky manages over $500 million in assets and has handled the acquisition and disposition of more than $1 billion in assets. Mr. Kurlansky began his real estate career as a property manager at Crescent Heights of America. He joined First Meridian Mortgage in 2004 and has been a Senior Vice President since 2009. Throughout his career, Aaron has originated well over half a billion dollars in residential and commercial loans. Mr. Kurlansky is a licensed mortgage loan originator in Florida and New York. As Chief Financial Officer of First Market Properties, Mr. Septimus in responsible for accounting and financial operations, management procedures, and financial reporting. Prior to joining First Market Properties, Mr. Septimus was the owner and manager of a business consulting practice for 25 years which focused on growing companies. He specialized in identifying financial and operational inefficiencies and created and executed action plans to improve these companies. He previously served as a manager at Price Waterhouse. Mr. Septimus has a CPA and is a member of the American Institute of CPAs. He received his MBA from New York University Business School. As Director, Mr. Saltz actively contributes to the investment process by performing economic and financial analyses of current and prospective investments, reporting on these analyses, and working with current and potential investors to ensure FMP is meeting their needs. His expertise resides with international finance, real estate finance and financial policy. Prior to joining FMP, he served as a Project Director across several government contracts and as an Economic Analyst at the U.S. Department of Labor. Mr. Saltz received his MPA with Merit in Public and Economic Policy with a focus on finance and accounting from the London School of Economics and Political Science and his BS in Economics with Honors from the Pennsylvania State University. 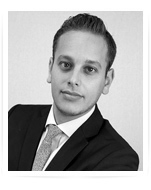 Mr. Fishman is an Acquisition Specialist with First Market Properties and has been with FMP since 2010. He is responsible for identifying value add and opportunistic investments for purchase and managing the acquisition and closeout processes. He does this for FMPs equity and debt investment strategies. Prior to joining FMP, he spent five years working in real estate management, primarily in the New York Tri-State area. 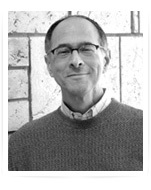 Mr. Fishman previously was the founder and manager of a real estate services contracting firm which focused on creating and implementing solutions to improving the quality of multi-family properties. He is also a licensed real estate broker in the state of Florida. 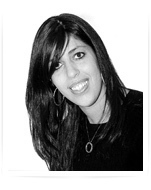 Yael Ishakis began her career as a commercial mortgage broker in 2002 with Sterling Empire Funding with a concentration in the New York metropolitan area. She specialized in multifamily and commercial origination. In 2014 Yael joined First Market Capital to focus on origination in the Southeast and is responsible for the origination of more than half a billion in debt transactions. 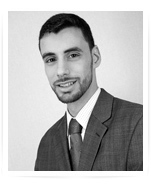 Joseph Back is an Originations Specialist at First Market Properties. He oversees our lending department where all loans are generated from, including hard money loans, bridge loans, and bank and agency loans. His previous experience includes years in the commercial lending industry. Most recently, Mr. Back managed the ongoing operations of well over 1 million square feet of Class A office space spread across Illinois and Ohio.